We're delighted to show you a glimpse of our exclusive new range of traditional bathroom products! Posted By Rob, 7th Dec 2015. 3 Minute Read. Have you ever fantasised about having a bathroom that’s fit for aristocracy? Something effortlessly timeless and sophisticated? 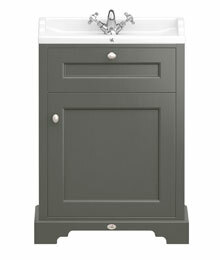 Well, we’re pleased to announce that we’re now the exclusive stockist of the new Downton Abbey bathroom range! Inspired by the tradition and style of the era seen in the programme, the range includes everything from freestanding bathtubs to showers and even furniture; everything you need to create an authentic period look in your own home. The elegant style of the period still inspires designs today, proving that the look was never a fad or a novelty; unlike some other styles of the past, this era has longevity. As a result, the Downton range features an elegant selection of products which will give your home a graceful quality. As a look that never goes out of fashion, traditional bathrooms are all about staying true to the styles which are reminiscent of the time. To make sure that your home replicates this, our Downton Abbey collection includes products which feature all the subtle details you’d expect to find on classic designs. The array of taps includes various crosshead and lever handle options while the furniture features traditional wood panelling and is available in a selection of stylish colours. 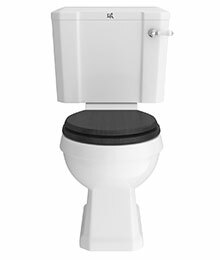 Toilets and basins are styled with a nod to the era too, with grand high level cisterns and elaborate pedestal designs available. To complete the look, and give things a more bespoke feel, the range also has accessories which have been designed to complement the timeless look of these features. 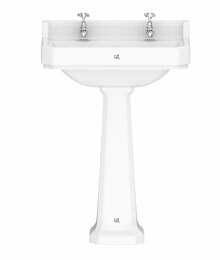 Accessories include chrome bottle traps, bath pipe shrouds and shower curtain rails. Our Downton Abbey collection is all about creating something which has all the charm and character of a bygone time. 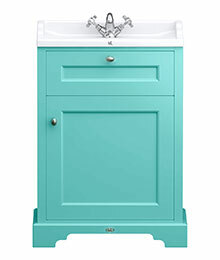 If you want your bathroom to have the glamour of your favourite programme then this new range is absolutely perfect! RobRob is part of the resident bathroom bloggers team here at Victorian Plumbing. Rob loves writing in depth bathroom buying guides and is renowned for his expert 'how to' step-by-step DIY guides. He can also be found posting about the latest bathroom trends and ideas and also hunting out bargains and savings for our customers.